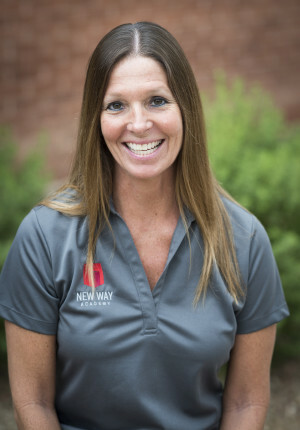 Ms. Jane Jacobson joined the New Way family in 2004. A graduate of SUNY Cortland in Upstate NY with a Bachelor’s degree in Physical Education, Ms. Jacobson is passionate about teaching students to be healthy and active. Her love of yoga inspired her to become a certified children’s yoga instructor. She incorporates yoga into her physical education classes and leads the lower school and upper school yoga clubs during the school year. Outside the gym, Ms. Jacobson enjoys road trips, hiking, biking, and spending time with her two children, Hanna and Andrew.